Freak Out! 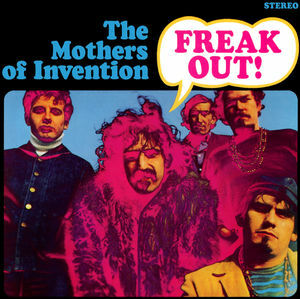 is the debut album by the band Frank Zappa and The Mothers of Invention, originally released in 1966. This album is often cited as one of rock musics first ever concept albums, and it is said to be the satirical expression of Frank Zappa's views on American Pop Culture. Also cited as one of the first double albums in rock music. This reissue was pressed in Germany on 180 gram audiophile quality vinyl.